Selling a property can seem quite simple if you look at it from a distance, but once you get into the processes involved you realize that you need to know certain important aspects that are going to determine if your property is going to sell or not. You think that the first thing that a buyer will do when trying to make a deal with you will be to bargain the price you have and for this you place the highest price so that after an exchange, you reach the price that you should have placed . This can play against you by scaring away those who might be able to buy your house at the logical price. 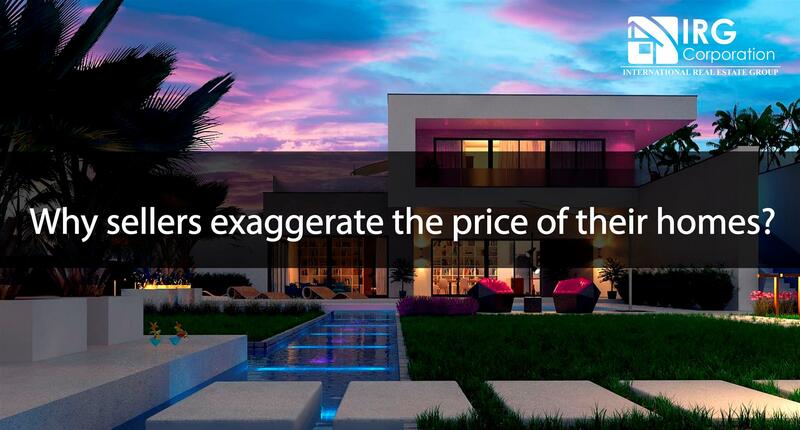 After seeing the comparables and realizing what are the prices that are handled in properties with a distribution similar to yours, you want to earn more than all of them. Placing a price outside the normal ranges will only make your house between the last options. Whether you built something inside the property with your own hands or because you have lived in it for many years, emotional attachment can play against you when it comes to pricing a house. Be careful with feelings and be objective when placing a price. You should never underestimate the people who want to buy your property because for this reason you could stay in the market long enough to make your future plans go bankrupt. Always remember that the previous analysis of the market, the comparables, the different pros and cons of your property and whatever the current physical condition are essential to present a price that is in accordance with what is out there, thus being absolutely attractive for potential buyers who see your property as a great opportunity. Writer, seller, and motivational American speaker. Details that can increase your property value!